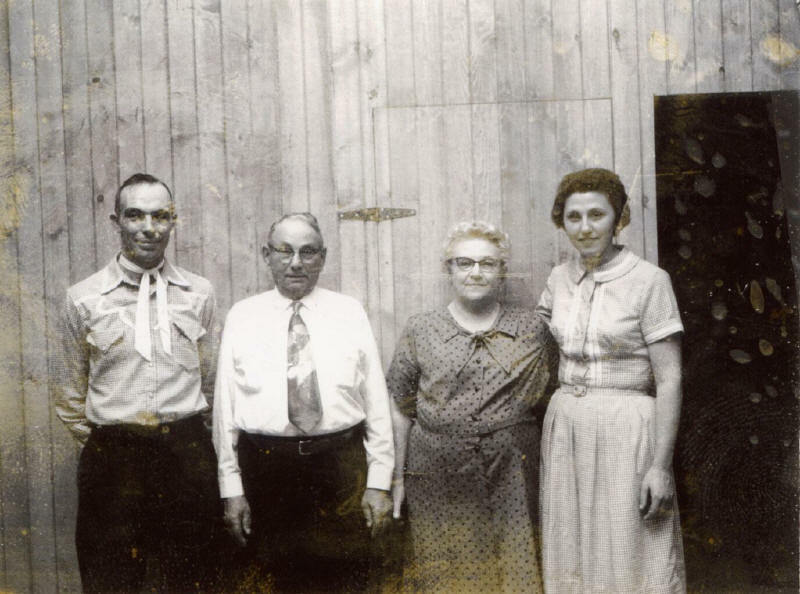 Ole Zim’s Wagon Shed was the idea of Donald and Beverly Zimmerman after a trip to Pennsylvania in 1957. Don Zimmerman was born near Rollersville, Ohio. His parents were Dale and Lillian Zimmerman. Don grew up on a farm and later worked in construction. In 1932, Don’s family moved to a farm on CR 59 just south of where Ole Zim’s would later be located. In 1948 he graduated from Gibsonburg High School. Beverly Zimmerman (Atwater) was born near Elmore. Her parents were Harold and Madelyn Atwater. Beverly also grew up on a farm. She spent most of her childhood in the Elmore area before moving to Fremont to finish her senior year of high school and graduate from Fremont Ross High School. Don and Bev were married October 21, 1950. After marrying, they lived in a house across the road from where Ole Zim’s would be built. While looking for a place to build, Bev gave birth to their first child, Russell. Later in 1952, after looking for land to build a home on, Don decided to ask Mrs. Smith if he could purchase some land. She agreed to his request and sold them ¾ of an acre. Because of the shortage of money, the couple was forced to live in the basement portion of their home until they could afford to finish the rest. Bev said she remembers Don making a bed out of leftover lumber scraps from the house and barn siding to sleep on. As the months passed the couple managed to finish their home and Kathy, their only daughter, was born. 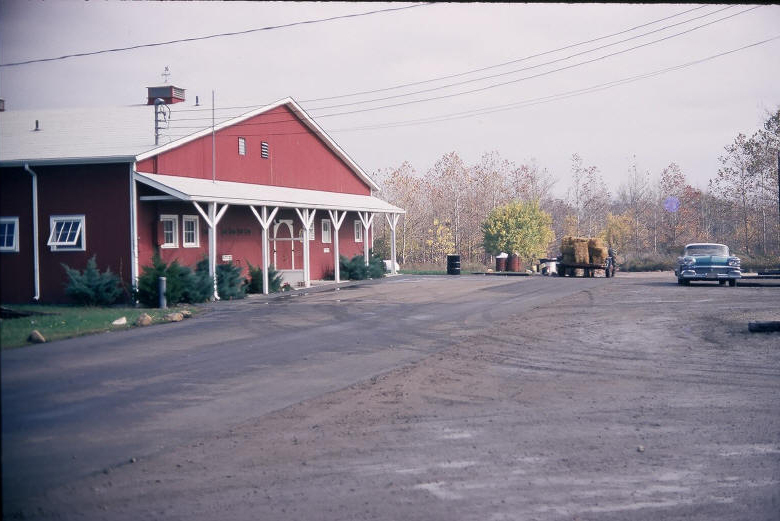 Then, in the summer of 1957, while on a trip with friends in Pennsylvania; Don and Bev visited a dance hall named Jim & Jane’s Wagon Shed. Jim and Jane’s was an outdoor amphitheater-style building that hosted round and square dancing. Bev said, “After leaving Jim & Jane’s, Don looked at me and said, One day I will own something like that!” In that same year John, Don and Bev’s third child, was born. 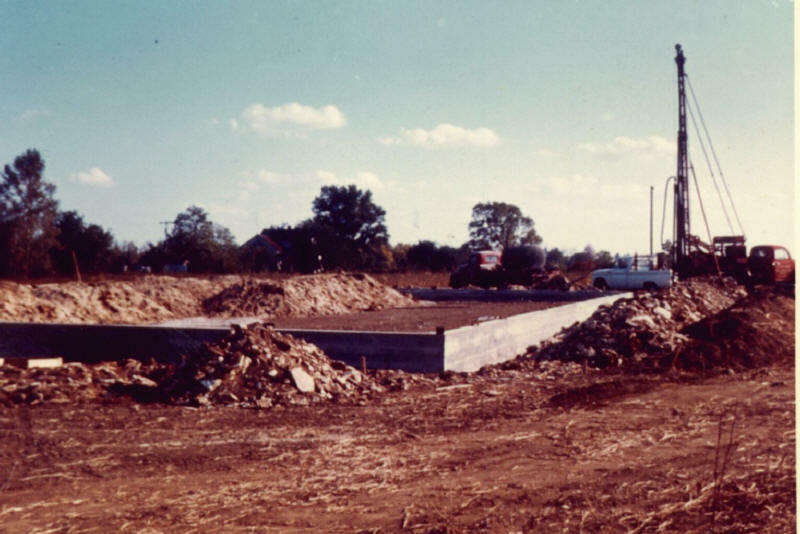 In June of 1959, Don decided to leave Glen Graffis Construction to start his own contracting business. Bev also worked with Don helping him with the finishing, painting, staining, and cleaning up at night. 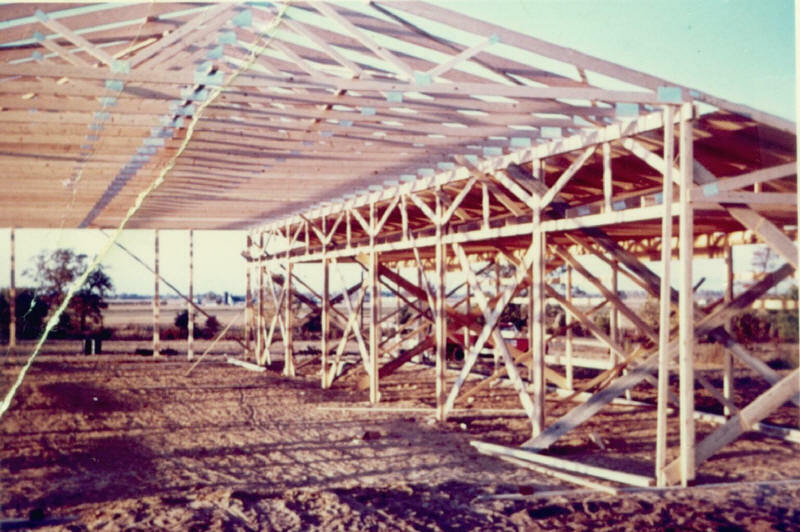 The contracting business began small and over the years grew to where Don hired a few employees. David, the couple’s third son was born on April 23, 1960. Having four children and a new business, Don, and Bev both remember the sleepless nights trying to make everything run as smooth as possible. In 1963 Don approached Bev and asked if she wanted to try to build the dance hall like Jim and Jane’s. After some reservation she agreed and Don began by drawing the plans for his dream. They also visited a bank and were approved for a loan to construct the building. With the financing in place, Don now needed approval from the State of Ohio before construction could begin. At that time, the only way to get plans approved was to travel to Columbus for a scheduled plan review. Bev says she remembers leaving home with just over a dollar between the two of them. They returned home with the approved set of plans and construction shortly followed. 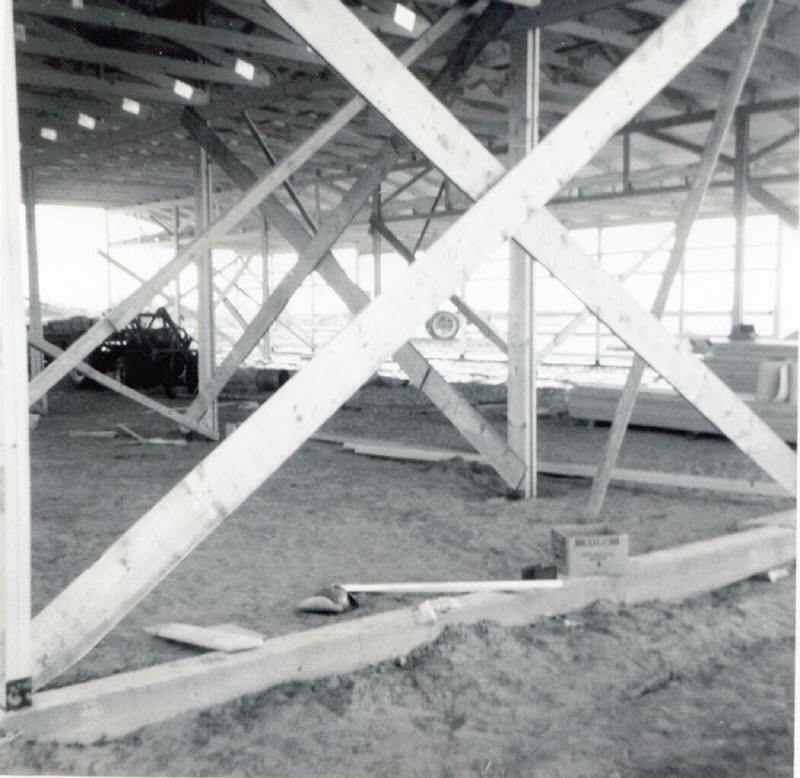 Don’s original plan was to only have a large building that would host dances, meetings, and other community events. During construction, a man stopped and asked if he could rent the hall and use the coat room area as a kitchen to serve meals from. Don told him he would think about it and let him know. After discussing it with Bev they decided to add a small kitchen area so they could offer their customers food during dances. 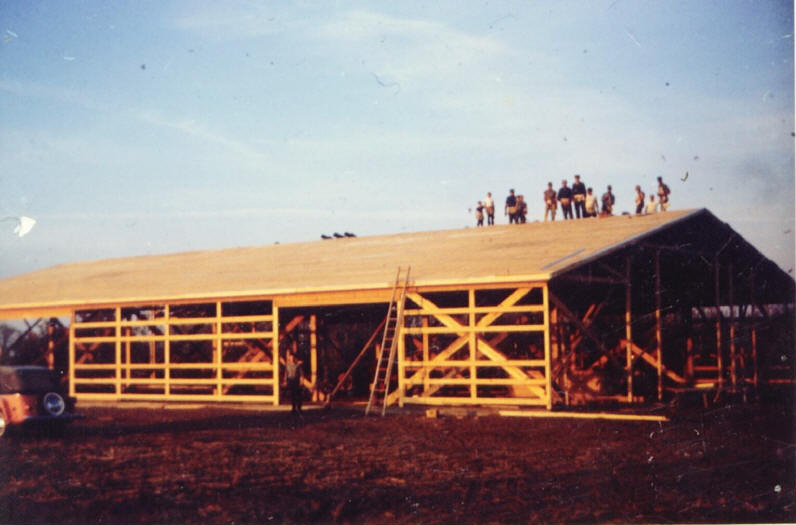 On December 7, 1963, Ole Zim’s Wagon Shed opened its doors for the first time for a round and square dance. Between December 1963 and February 1964 they purchased used equipment from various locations for the kitchen area. The idea was not to serve large numbers of people but just give their customers basic food selections. Most of the used equipment came from a restaurant that had closed in Sycamore, Ohio. Some of the items they purchased were a stove, stack oven, fryer, and pots and pans. They also had plates, silverware, and cups to serve about 50-75 people. Some of this original equipment is still being used today! Also during this time, Bev was approached by Chick Root of Root’s Poultry. He asked her if she planned on serving chicken in the restaurant. Bev told him she was not sure what would end up on the menu. Over the next several months Chick and Bev tried various combinations of breading, marinades, and preparation techniques before she approved the final fried chicken recipe. Bev also decided to include on her menu roast beef, ham, salads, mashed potatoes with gravy, vegetables, and pie. Chicken dinners would include four pieces of chicken, vegetables, mashed potatoes with gravy, and a salad for $2.50. When asked how she figured this price she said, “I asked my salesman from Anstead-Daso how he would price a dinner?” He responded by telling her to figure the cost of the food and multiply by 2.5. Bev then said, “I had no experience in a restaurant nor did we go to restaurants because we did not have the money growing up, so I had no idea how to price the food. It must have worked!” To help her and Don, the entire staff was comprised of family and friends. Bev and her sister’s handmade red and white checked dresses for the woman and shirts for the men that served as their uniforms. February 2, 1964 was the first Sunday the restaurant would open for public dinning, Bev says, “I remember standing in the kitchen thinking what do I do next.” Set up in the center of the hall were tables and chairs for the expected 50-75 people for Sunday dinner. Don remembers the tables and chairs that seated about 250 people, used the night before for a dance, still sitting around the outside of the hall. The restaurant was to open at 11:00 AM. Bev said by 11:45 AM the tables originally set in the center of the hall were full and an additional 200 people had come in and sat down at the tables around the outside. The order slips kept piling up on the table. From 1964 to the early 70’s, round and square dancing became less popular. Friday and Saturday night dances began being replaced with wedding receptions. The restaurant continued to grow throughout 1970’s and 1980’s. As family and friends became older they were replaced with employees. In 1991 Don and Bev retired. When they retired they sold the business to their son John and his wife Jill.